Last month I celebrated a milestone birthday—the big 50! And I have to admit, it was my most memorable birthday by far, for many reasons. I wrote several blogs about all the things that happened, so I won’t go into much more detail, but I did have to post one more time about this amazing birthday, because over the weekend I just finished reading the last of the more than 1,200 birthday cards I received. Yes, you read that right—1,200 cards!!!! And I read every single one! Occasionally as I read, family members would join me, pointing out their favorites, sharing a smile or a tear. Someone asked me if I knew everyone who had sent in a card, and although I recognized some of the names, I didn’t recognize them all, and I was touched by how many of you took the time to send me a card. Someone else asked me if I thought you all expected me to remember the specific greetings you wrote. I hope not! But when I do see you at an event, I’d love to give you a hug and thank you for wishing me a happy birthday, so just let me know if you were one of the many who became part of this milestone birthday. These hand-stamped cards came from demonstrators and employees (and even demonstrators’ children) from all over the world. They came in many different languages (sometimes translated through Google, which made me smile, because the translation wasn’t always entirely accurate but always endearing). They were incredibly creative (our warehouse guys made a dock-plate embossed card by running over the card on a dock plate, and our IT guys made a card with a ram featured on front). They were tender and funny and brief and long. . . no two were alike, and they provided hours and hours of wonderful reading! Several of you welcomed me to the “club”! I didn’t know there was a club, but I guess there is. And I guess I’m a member, whether I want to be or not! I laughed, I cried, and mostly I just felt incredibly grateful that you are all a part of my life and that you allow me to be a small part of yours! I’m not sure whose brilliant idea it was; maybe more than one person thought of it and just shared the idea. 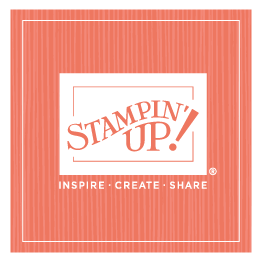 Regardless, these cards have made my birthday incredibly sweet and memorable, and reminded me again why we do what we do here at Stampin’ Up! Thank you all so much for taking the time and making the effort to send these cards to me. I hope your next birthday is filled with the same love and caring that I felt this year!